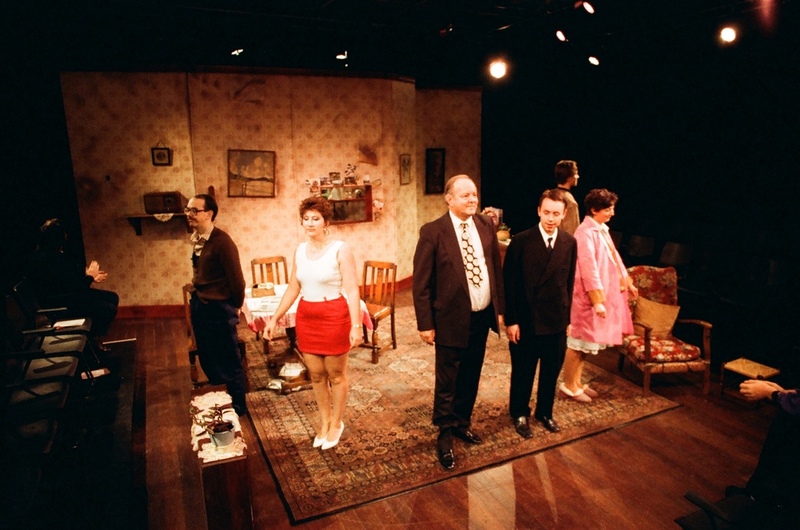 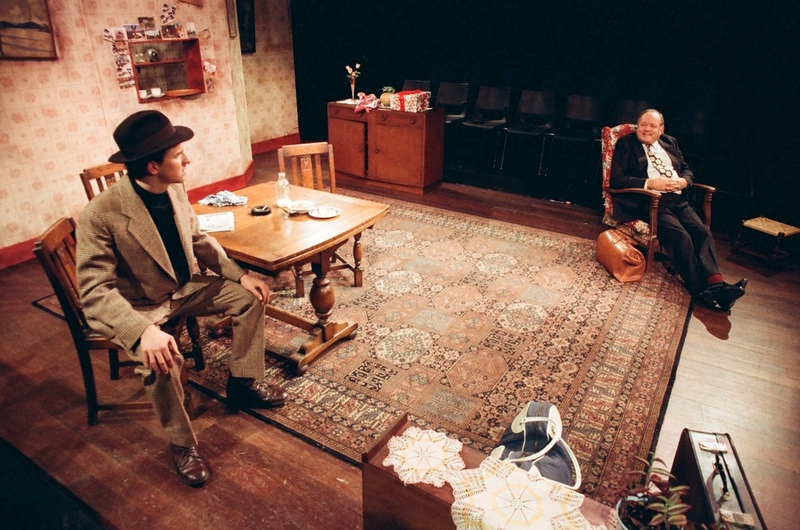 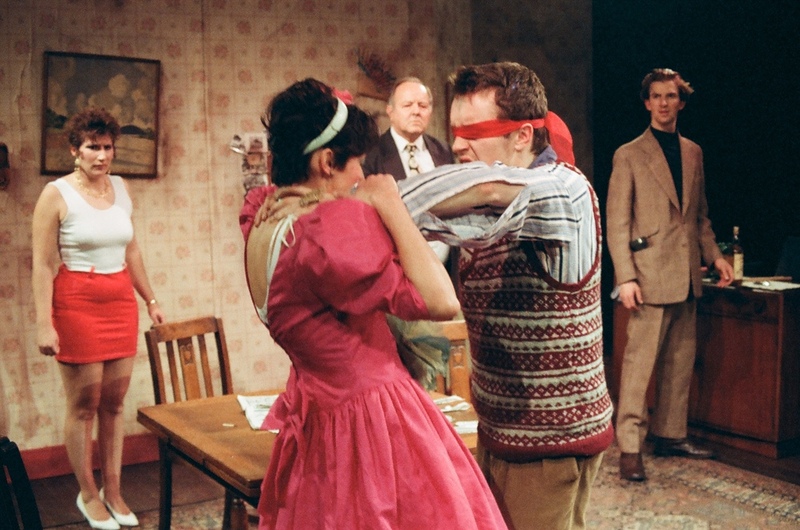 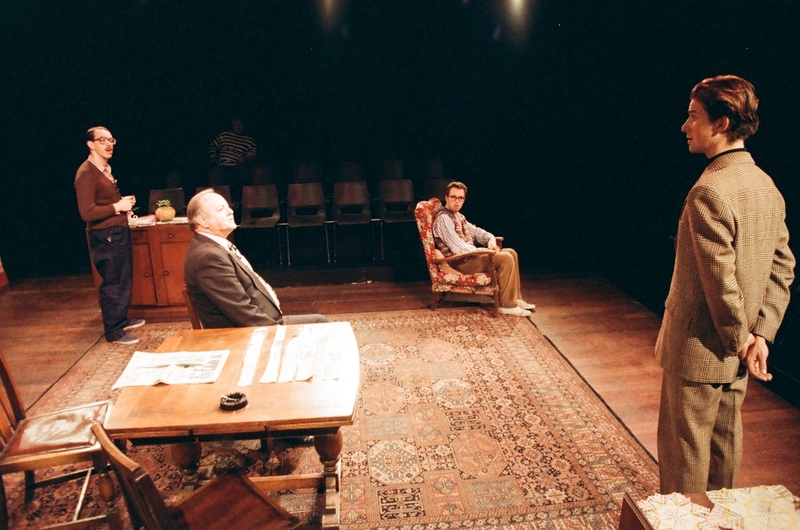 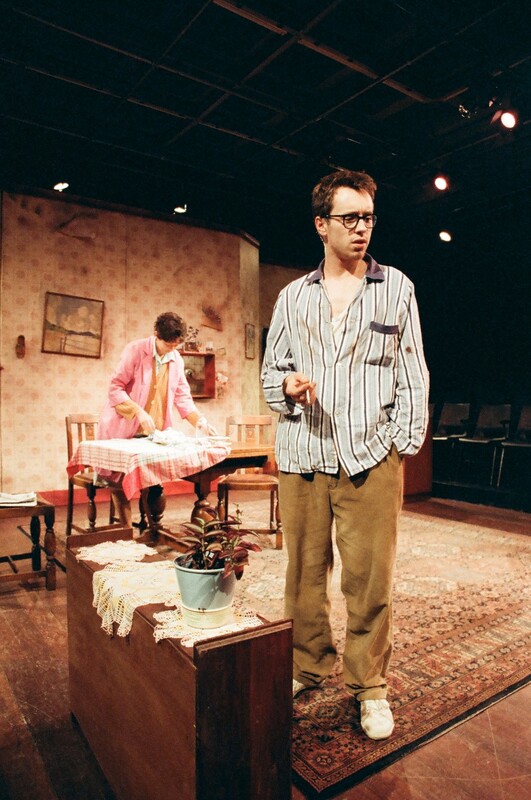 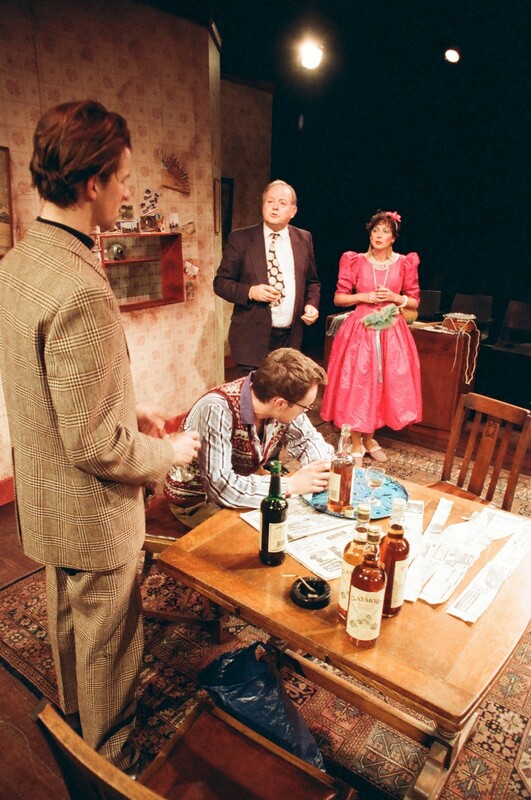 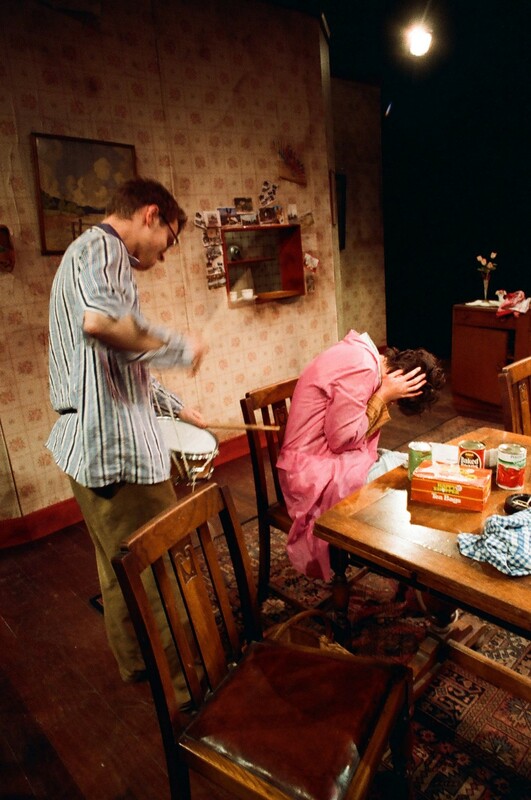 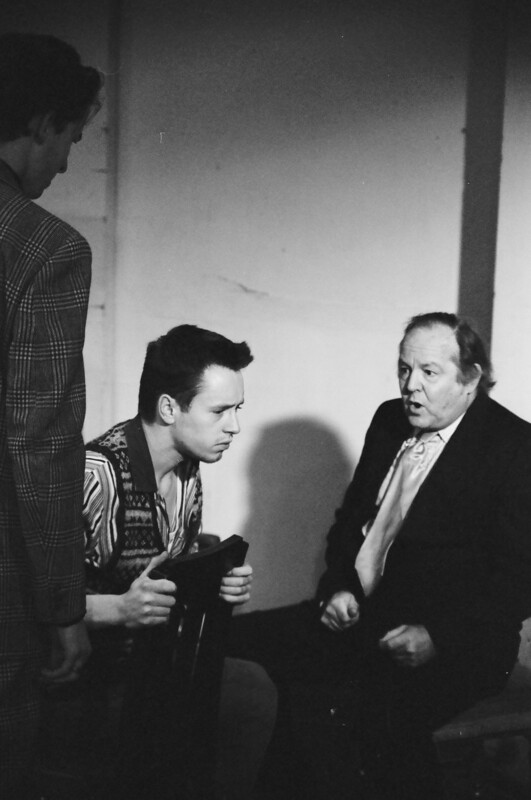 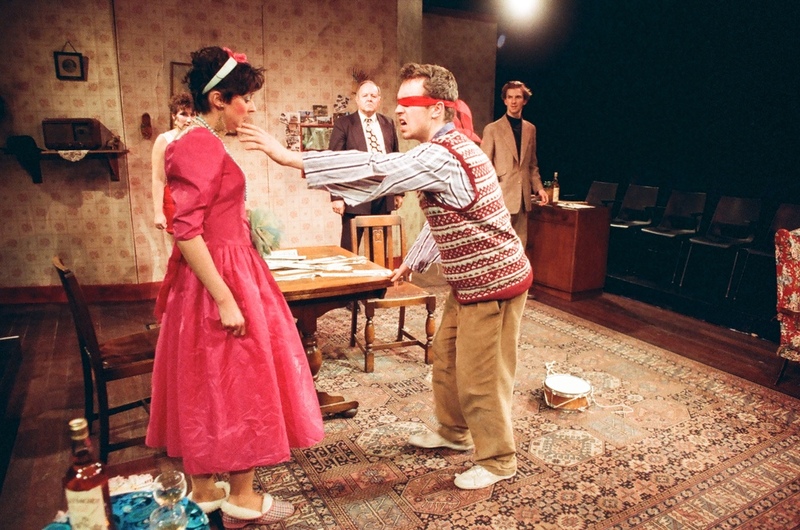 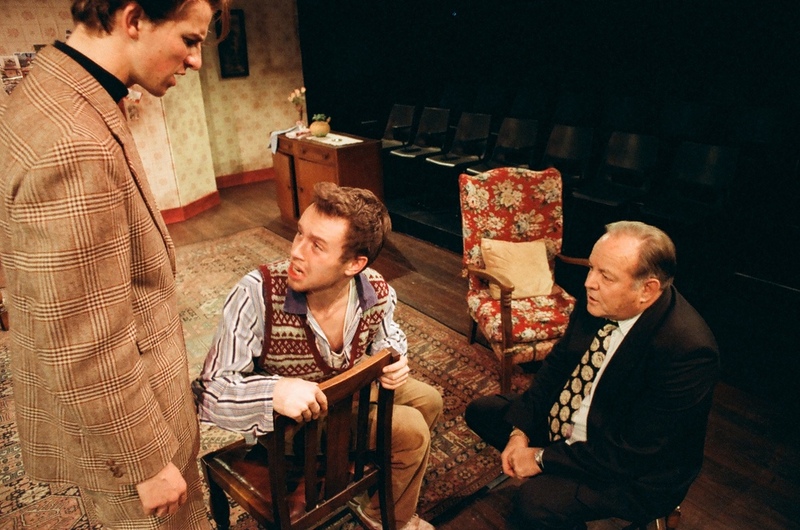 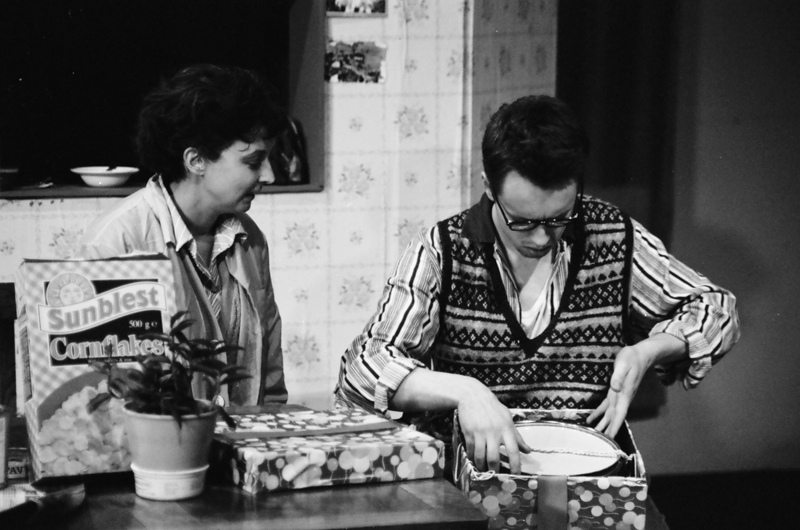 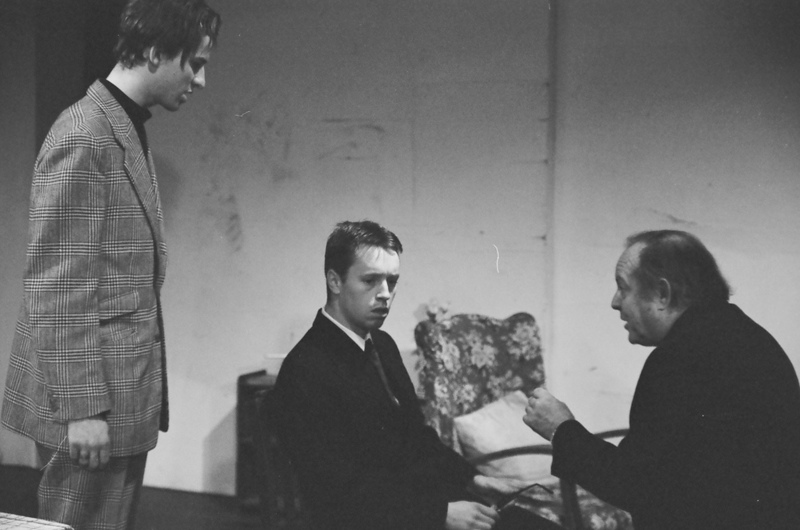 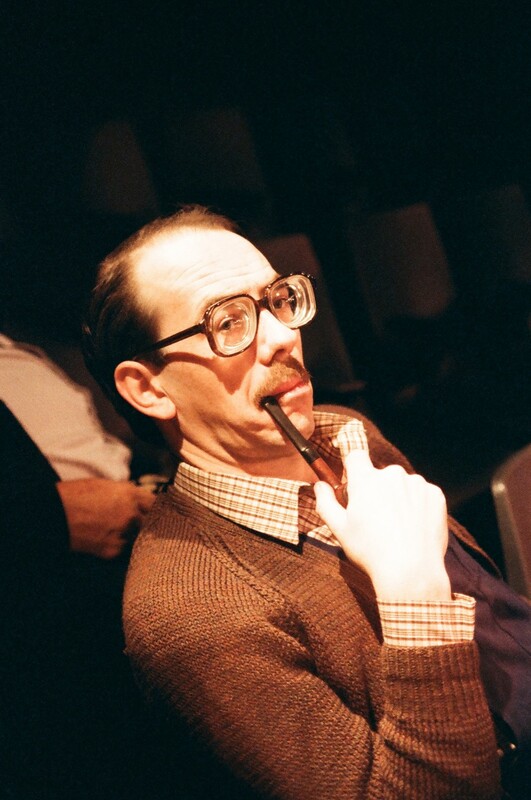 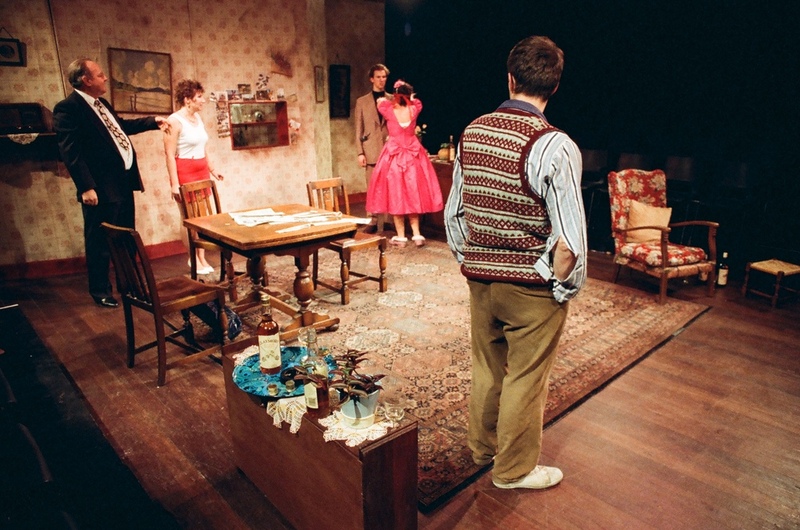 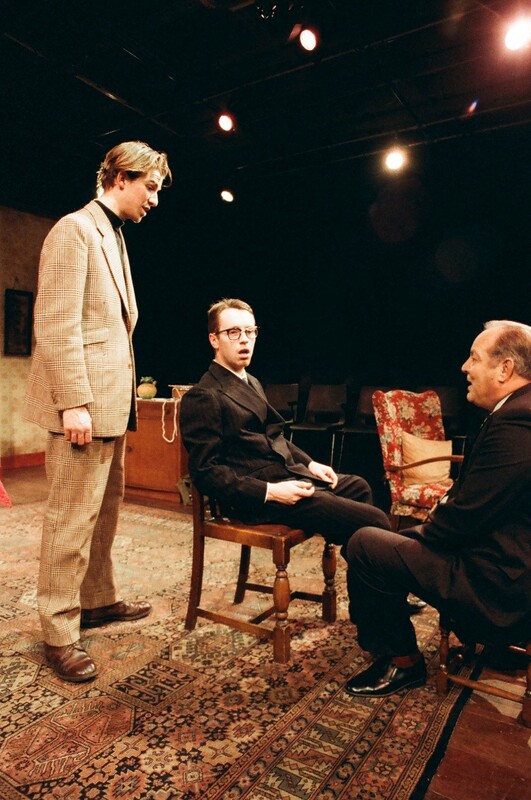 The Derby Playhouse Studio was a suitably intimate space to be transformed into the claustrophobic setting of our 1991 production of Harold Pinter's 'The Birthday Party'. 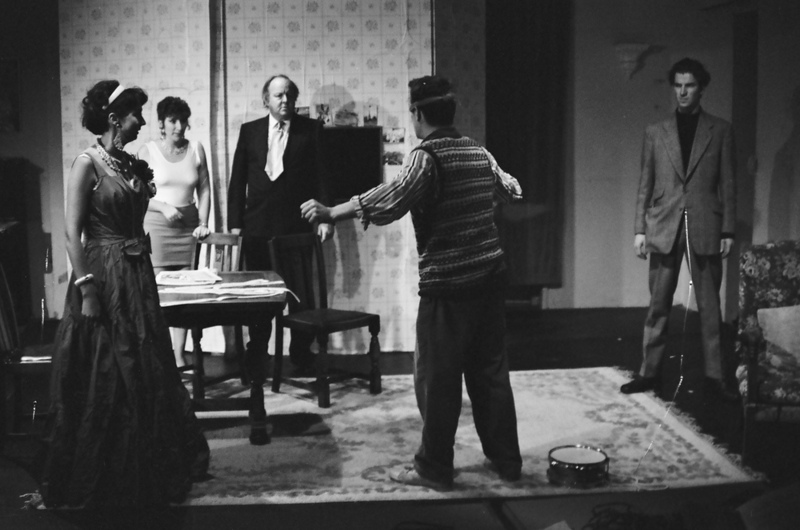 The ominous atmosphere of the play was conveyed brilliantly by a small cast who performed the piece with aplomb. 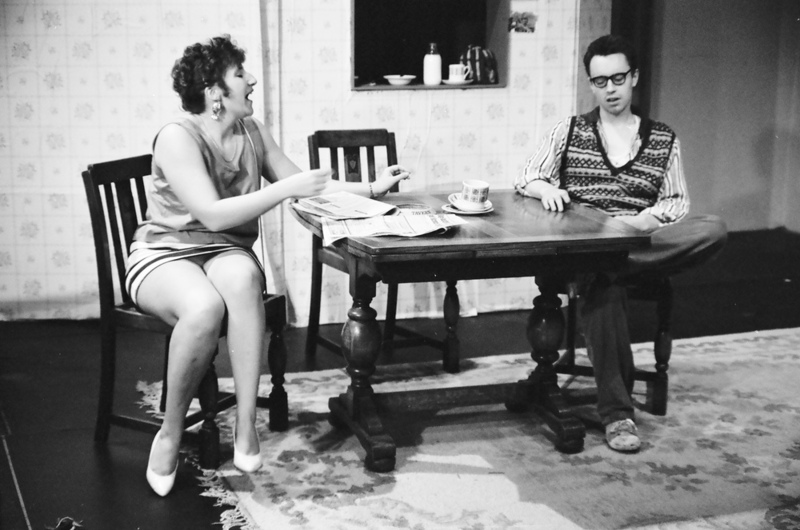 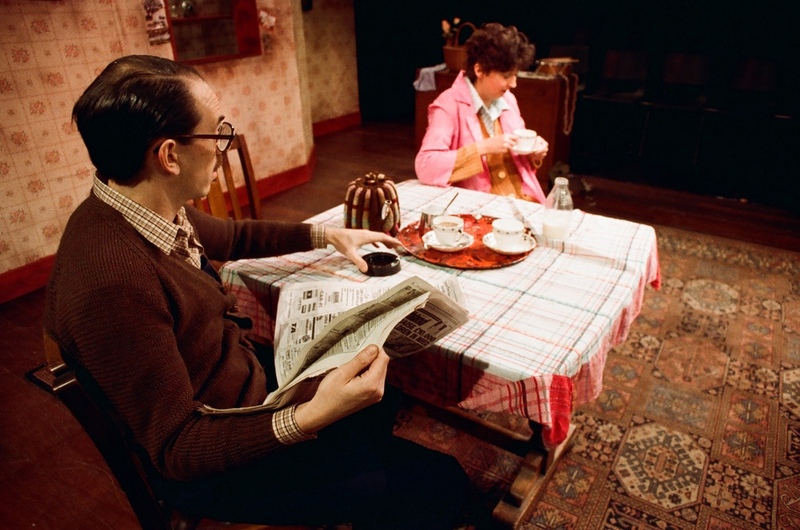 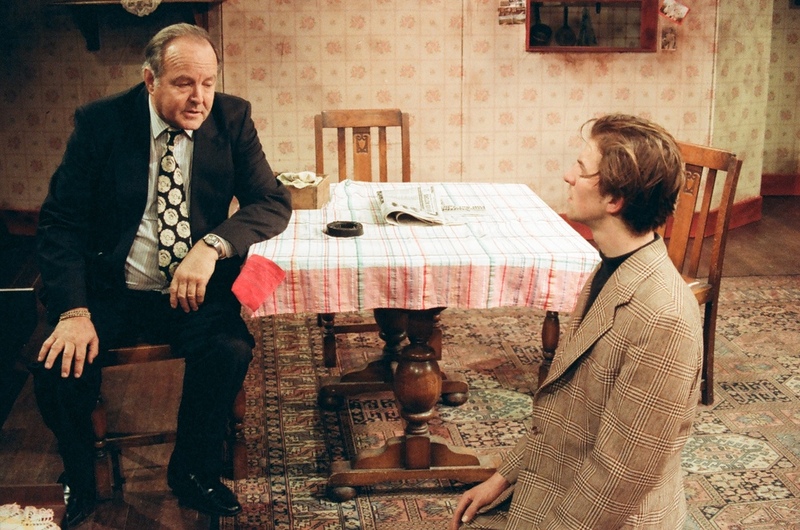 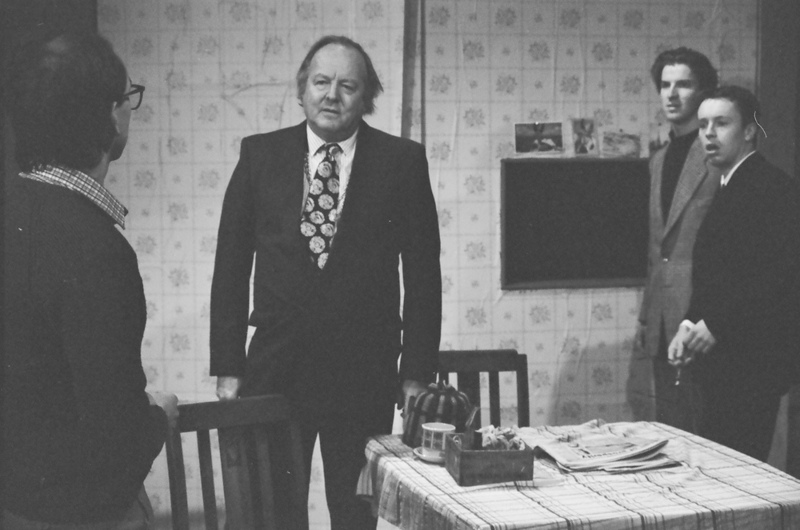 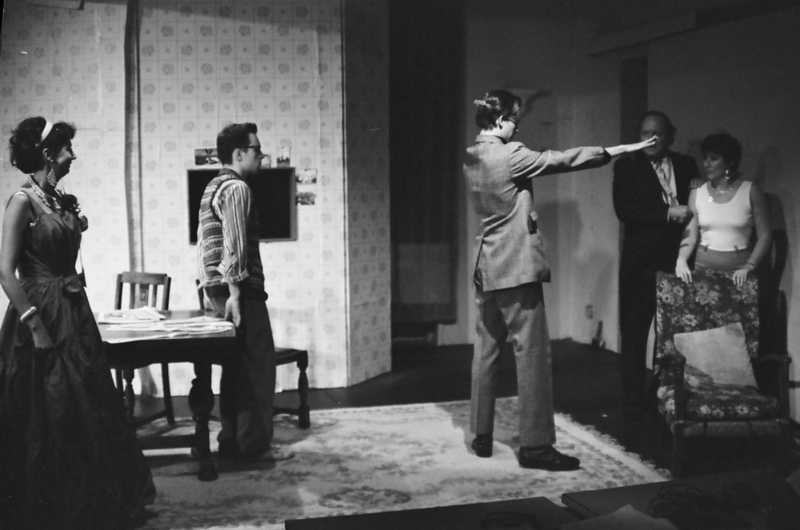 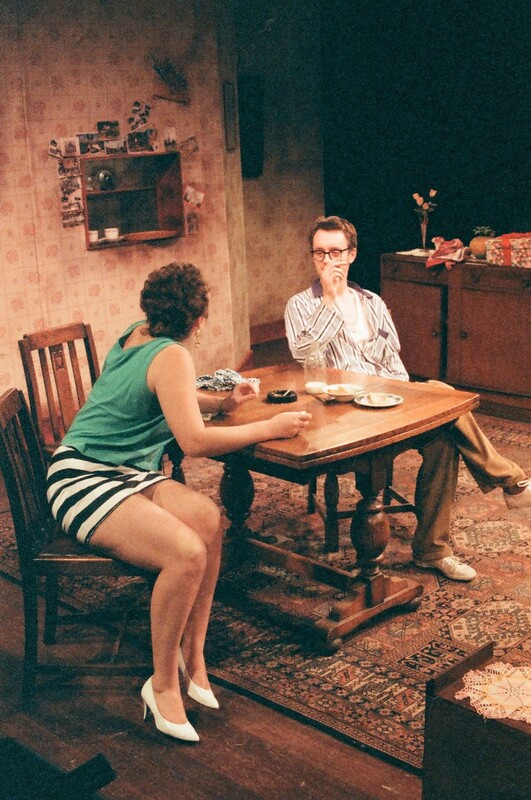 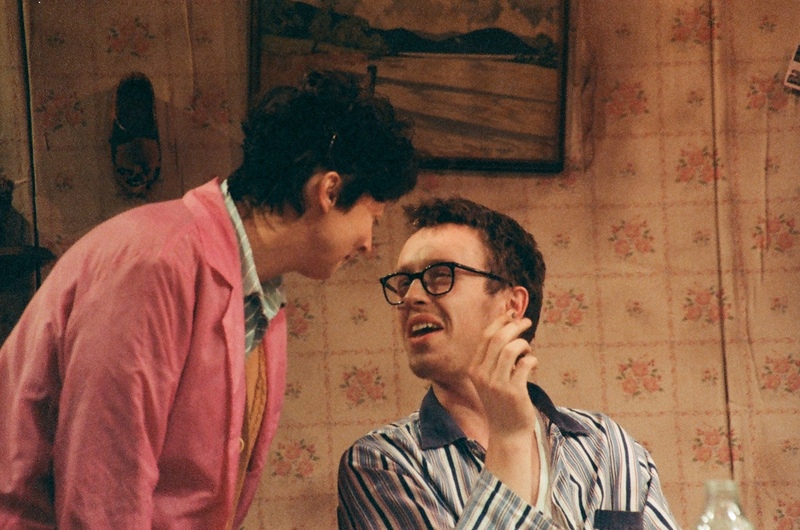 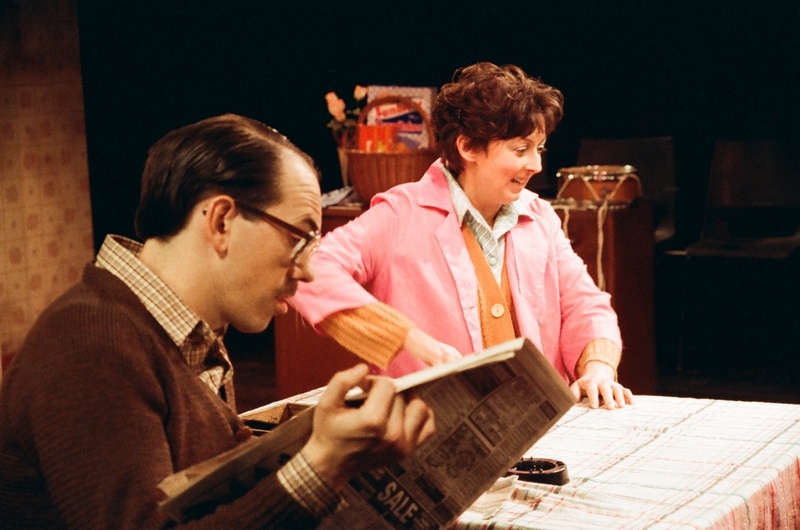 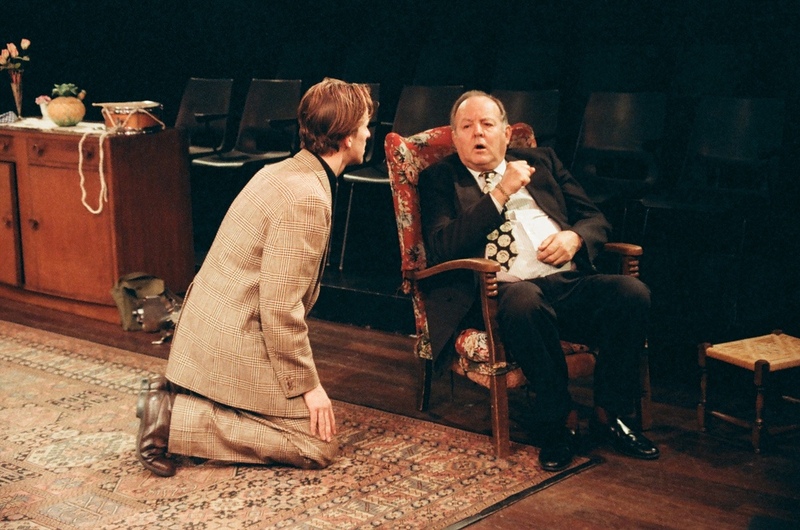 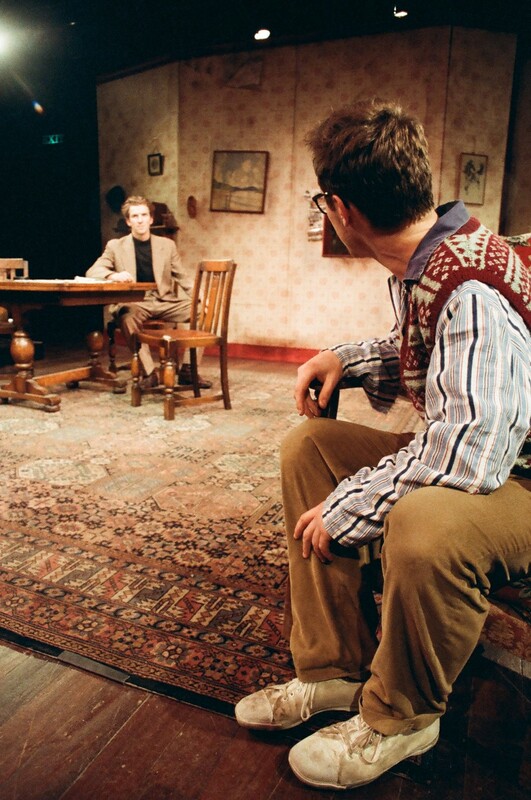 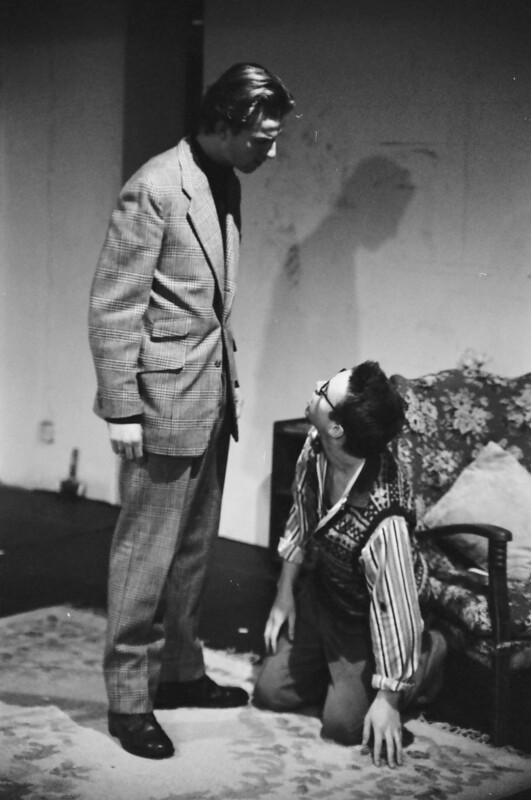 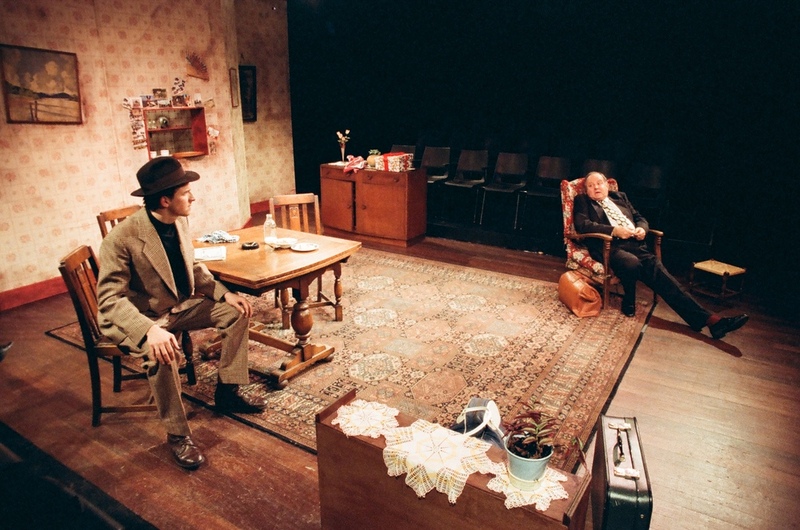 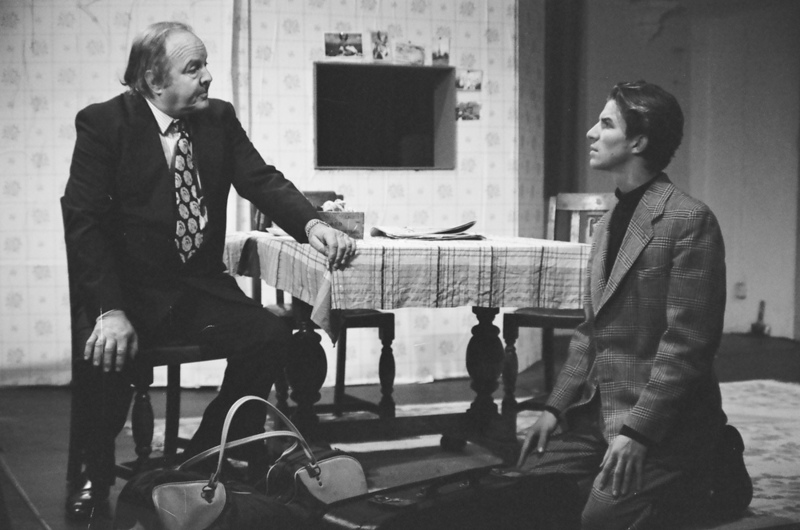 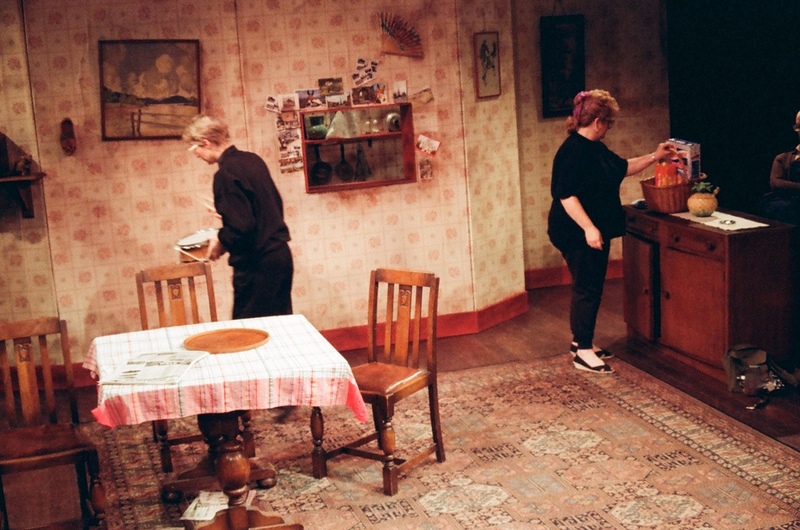 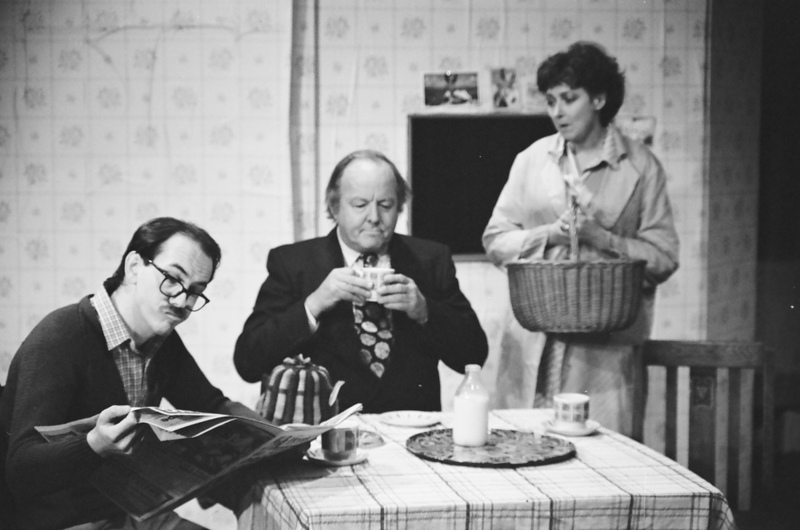 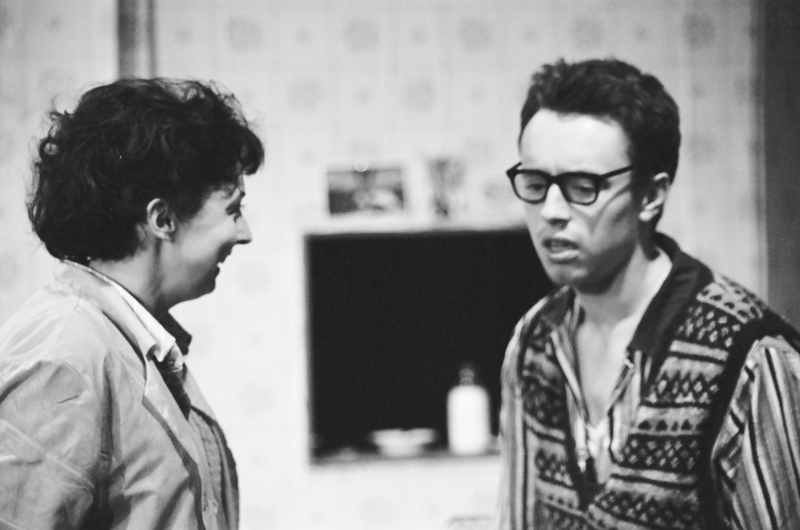 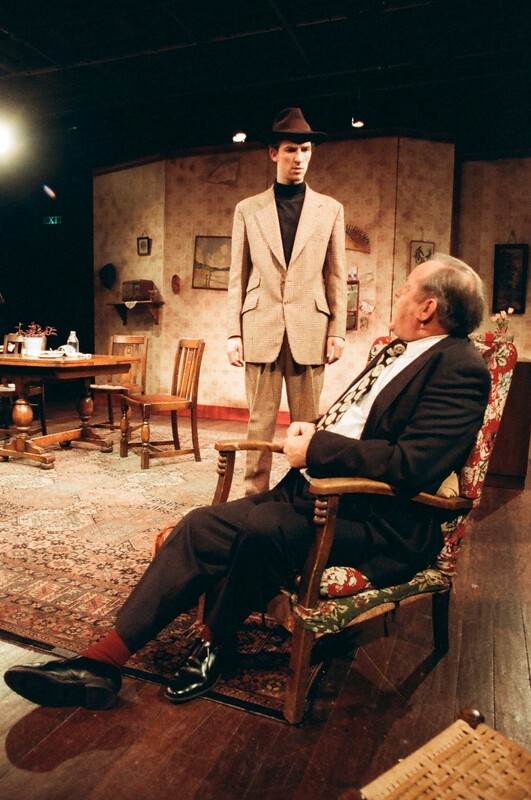 Characterised by Harold Pinter's excellent writing, sinister characters and shifting, uncertain identities the story of mysterious strangers bringing chaos to a mundane, suburban setting was an intense and unsettling delight for audiences who were drawn into the action via the excellent set. 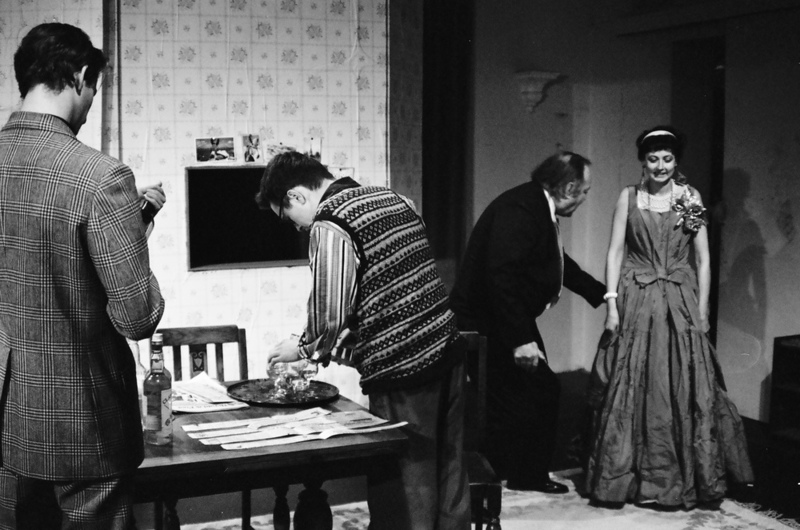 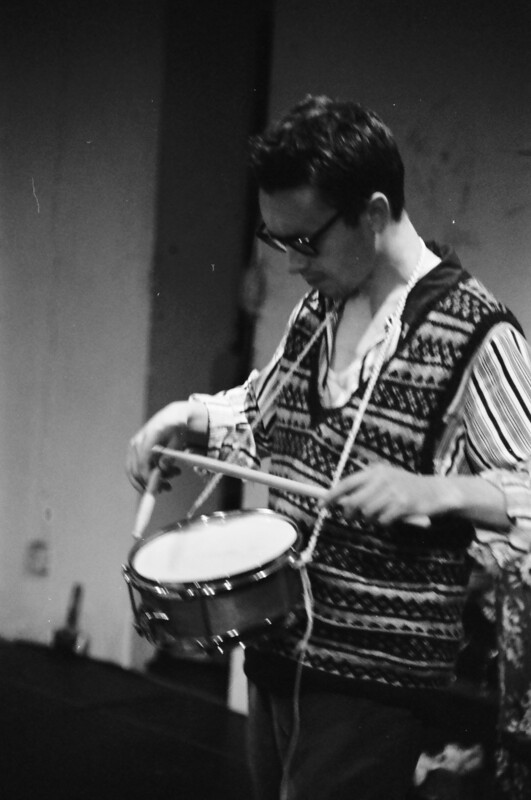 Definitely uneasy viewing but memorably and magnificently performed!